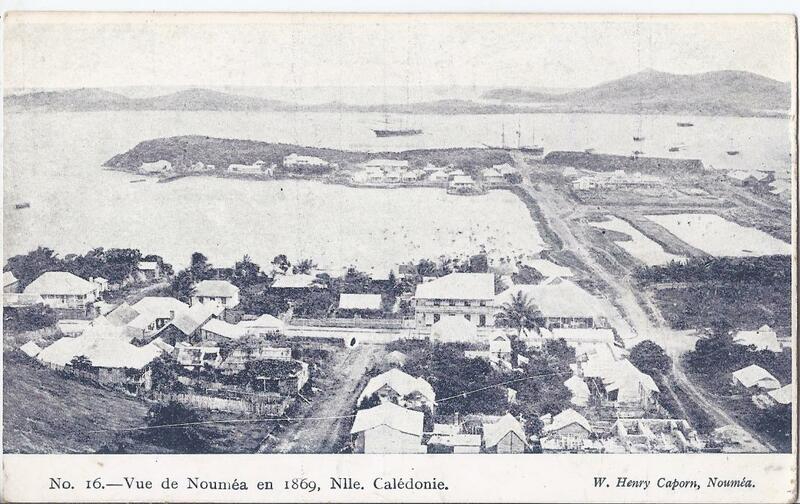 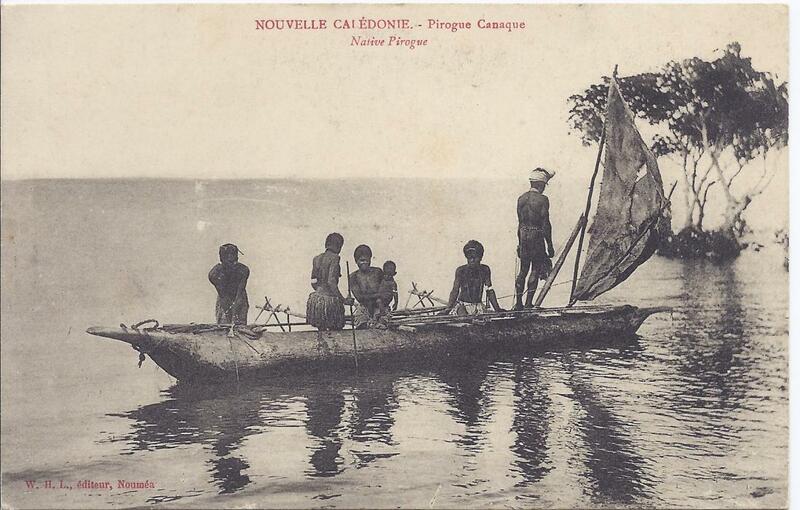 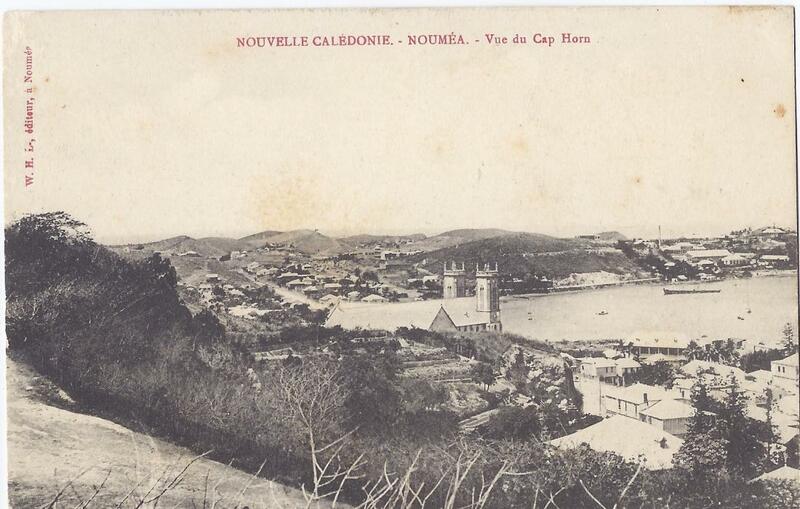 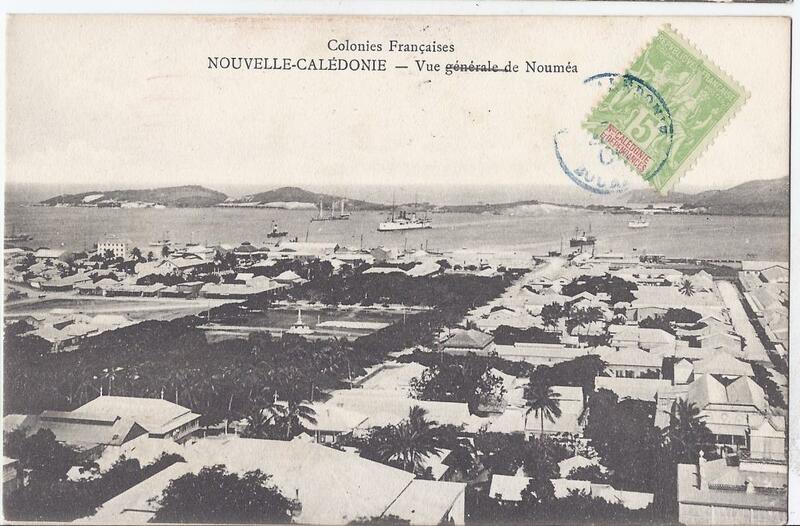 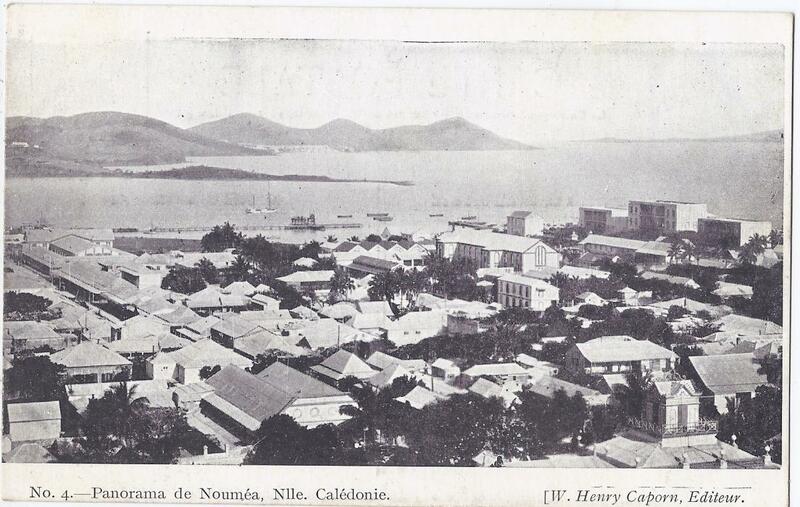 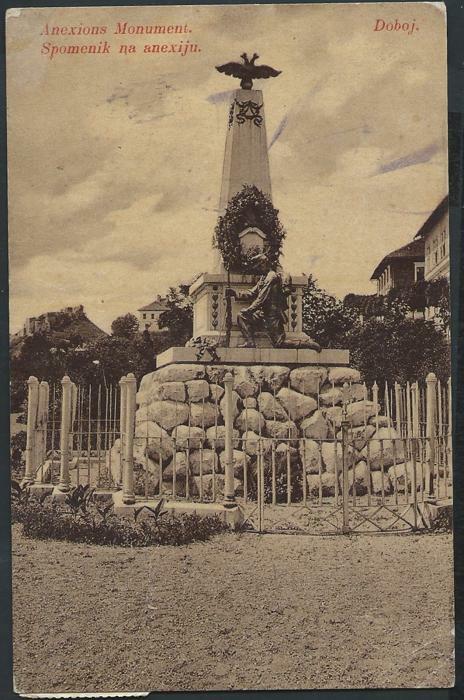 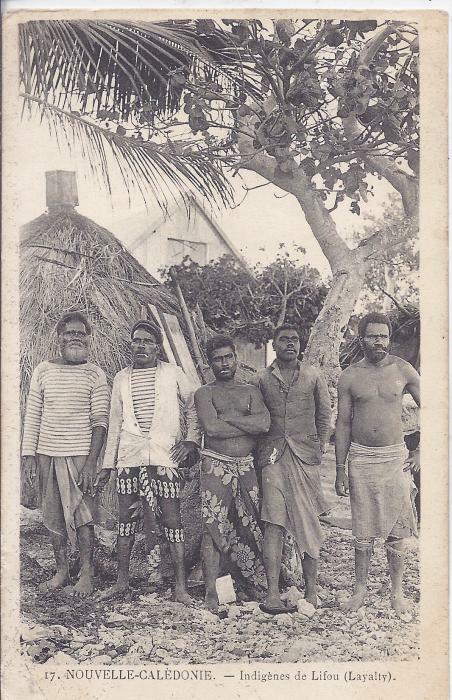 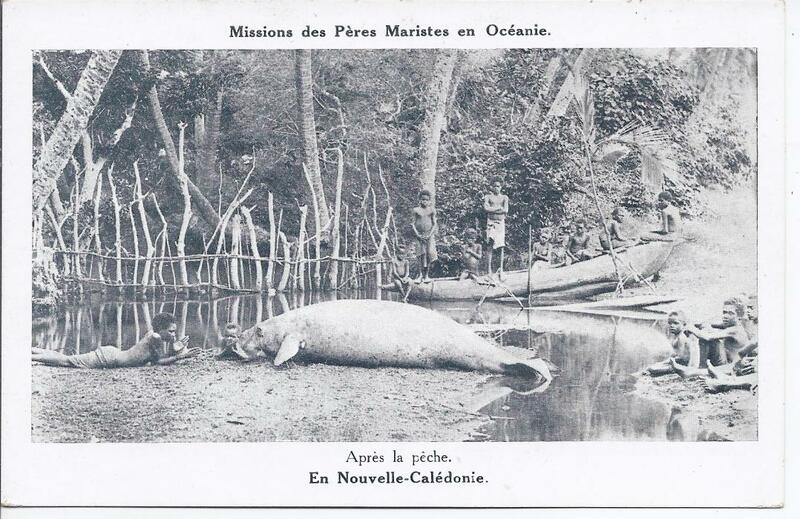 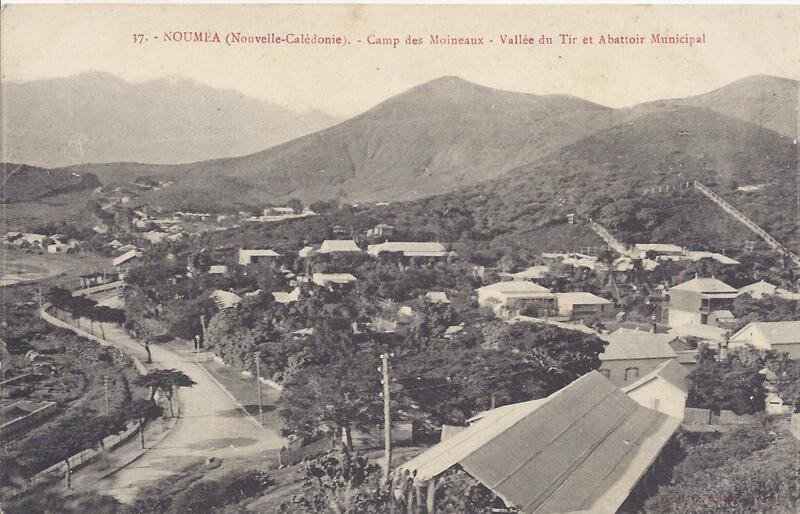 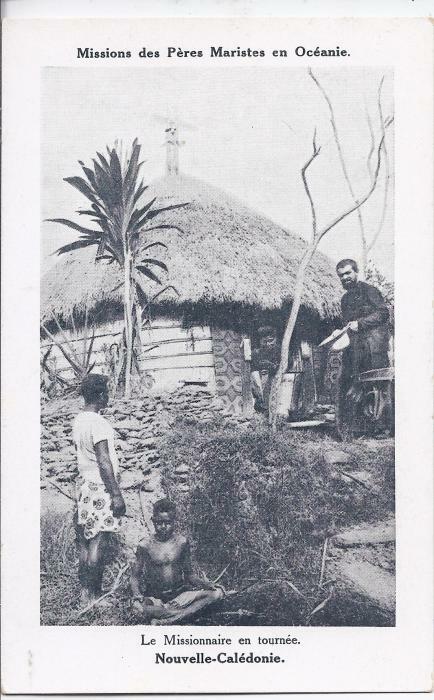 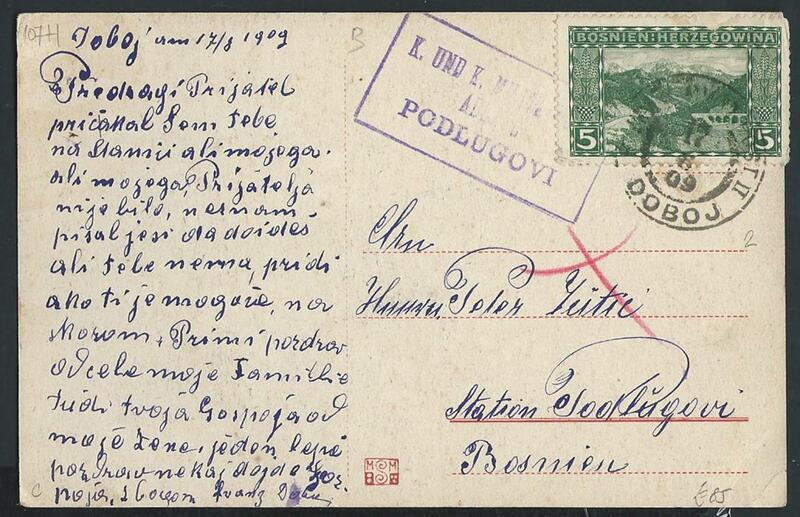 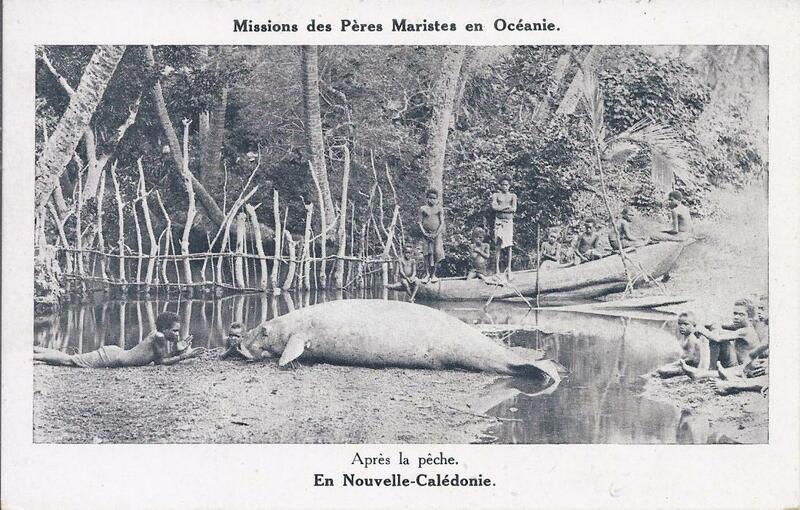 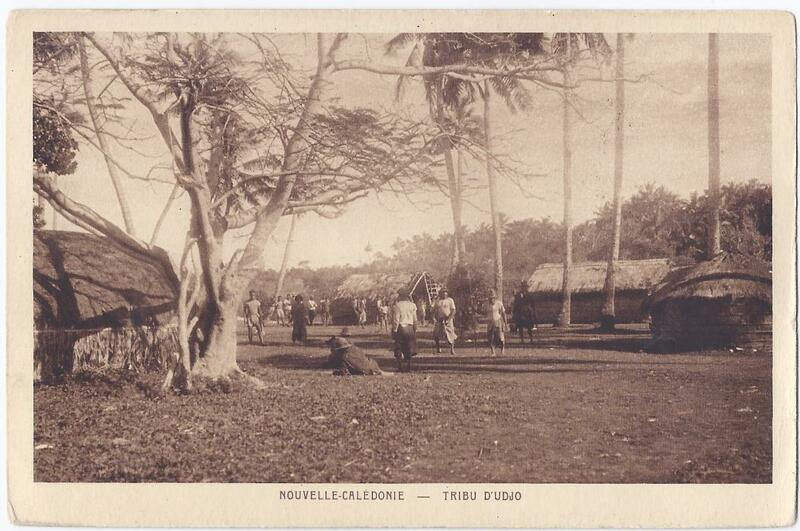 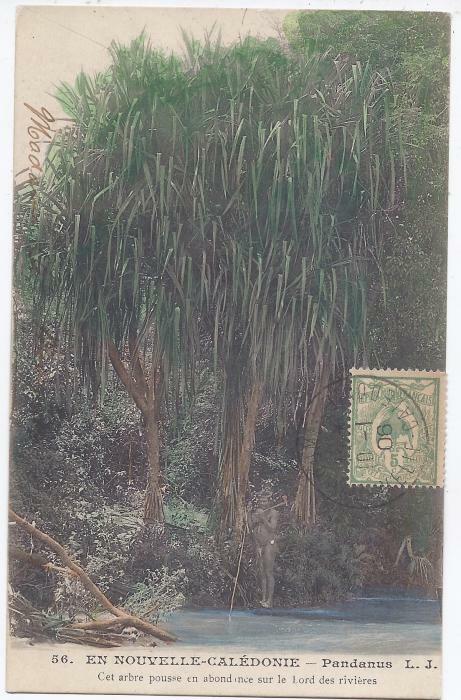 1903 untitled card used from Noumea to Bonn, Germany, slight staining towards top. 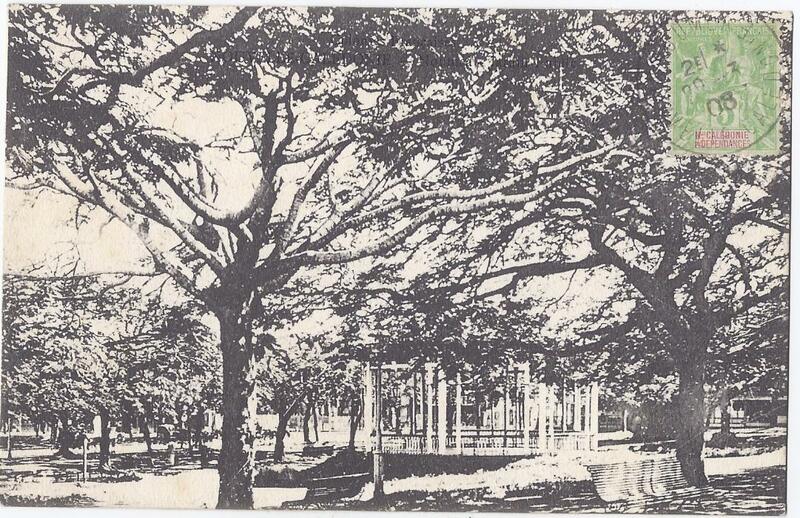 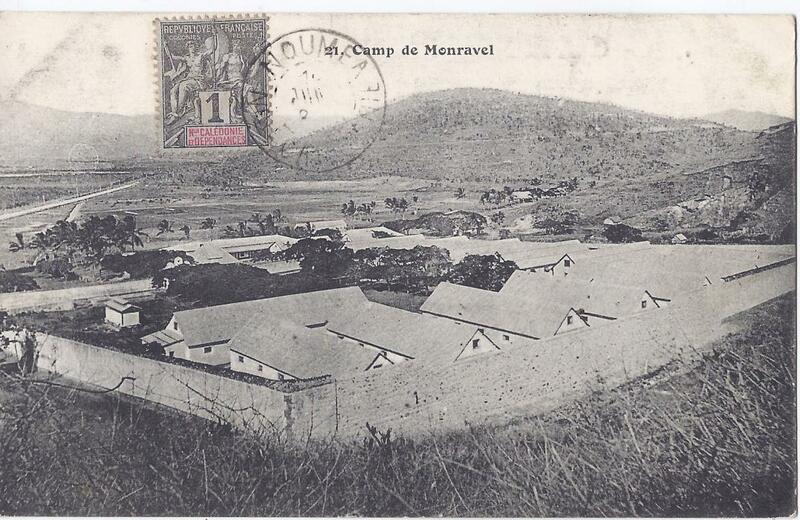 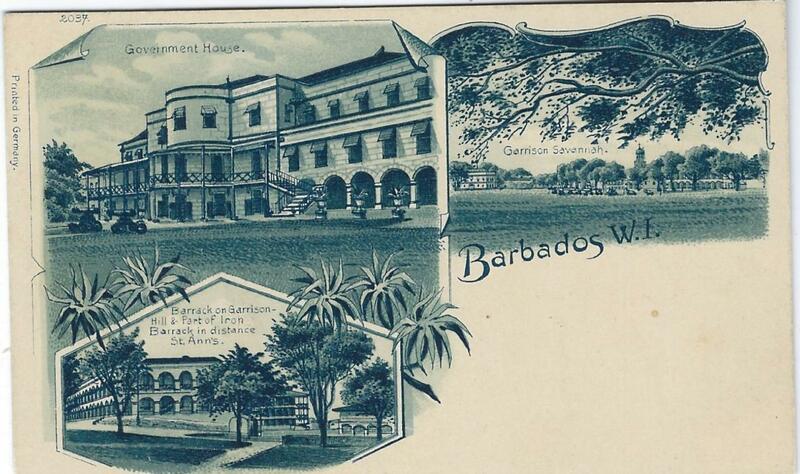 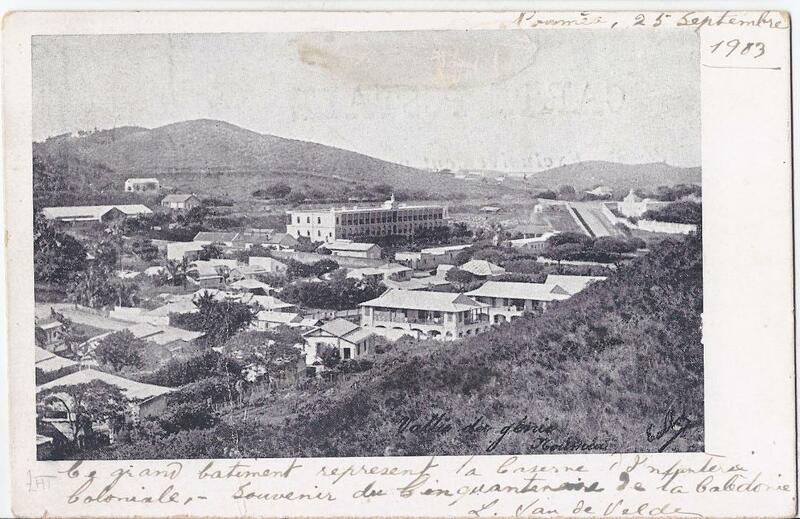 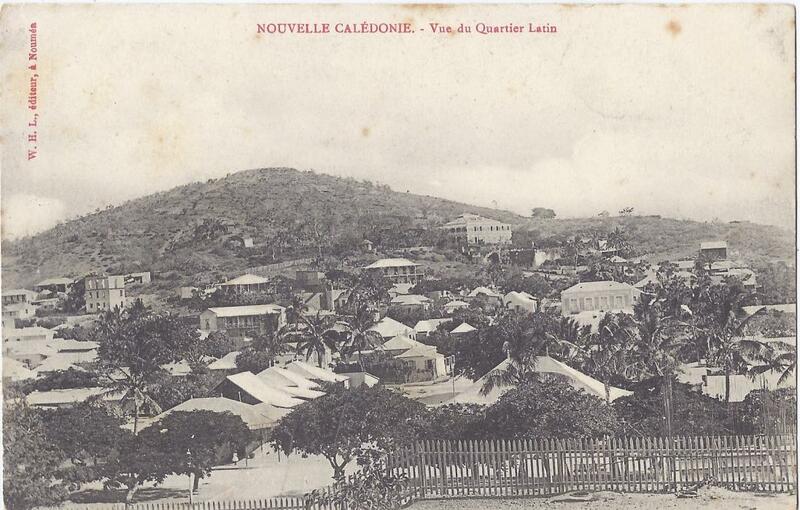 c.1900 triple image small sized postcard, printed in Germany, numbered '2037' depicting Barracks, Government House and Garrison Savannah; very fine unused. 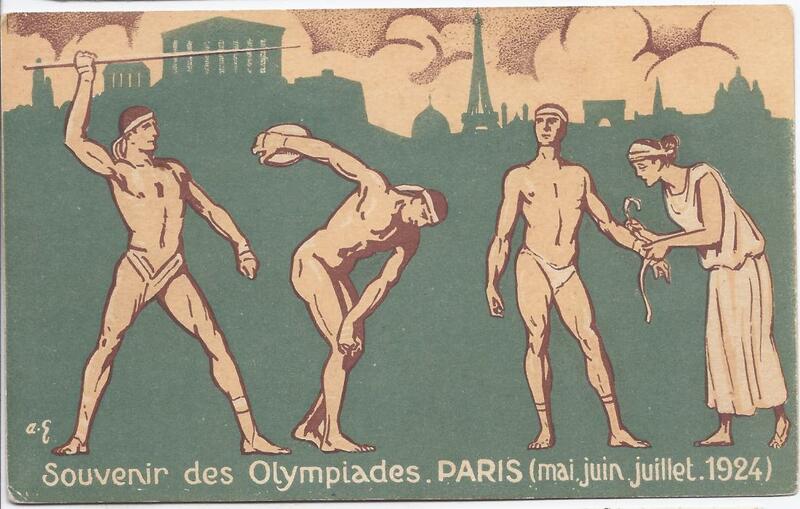 Paris 1924 Olympics souvenir picture postcard fine unused.